Call us today and hire a team of professional gardeners to maintain your lawn. Parents, pensioners, landlords, tenants, estate agents, and even groundsmen seek our help. 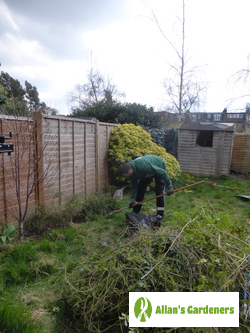 We can transform any urban jungle into the most diligent garden in Harrow. Our gardening services are suitable for small or large residences, schools, care homes, rental properties, sports clubs, churches, and more. No matter if you lack the time or the will, our mission is to assist you to maintain the perfect look of your garden all year round. Combine two or more services at a single booking and you will get a discount on the price. You will receive a free quote before booking a service. You can rely on the gardeners to be precisely on time. The task will be completed in a single visit, if possible. The gardening will be completed, no matter if it's raining or not. Every service is insured and handled with extra care. We price by the hour, and not by different maintaining tasks, as no job is too big or too small. When you combine two or more services, a discount is given to the overall price. 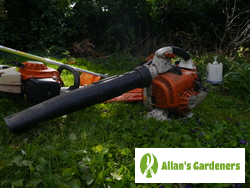 Harrow gardeners will give you helpful advices on the continuing maintenance of your garden. A 24/7 phone and e-mail support is there to answer any questions you may have and provide you with any information you might need. If the occasion demands it, the booking can be rescheduled or cancelled for free, as long as you inform us 24 hours prior to it. Dialling 020 3746 3128 is all it takes to reserve a gardening in Harrow. Our friendly operators are there for you 24/7. They will take the needed information and will give you a quotation about the final price. All you have to do is confirm the date and time and the booking is done. An alternative of that is booking us through our online form. You simply fill in your contact information and the service you want and a representative will contact you in a time convenient for you. We also have a web chat where you can directly write to us. Booking a gardening service in Harrow has never been that easy! We also serve: Harrow Weald, Ruislip, Pinner, Stanmore, Edgware.